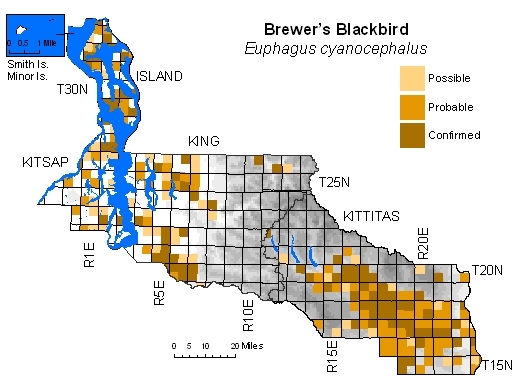 Common at low and middle elevations in central and eastern Kittitas County in variety of habitats, including agricultural, wetlands, steppe, and cities. Uncommon in openings within eastside dry-forest zones. 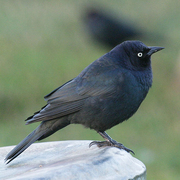 In western counties, fairly common in lowlands, usually near farms; also locally near certain large parking lots in urbanized areas, but rare in and around Seattle. Large-scale conversion of steppe to agricultural uses has benefited this species.